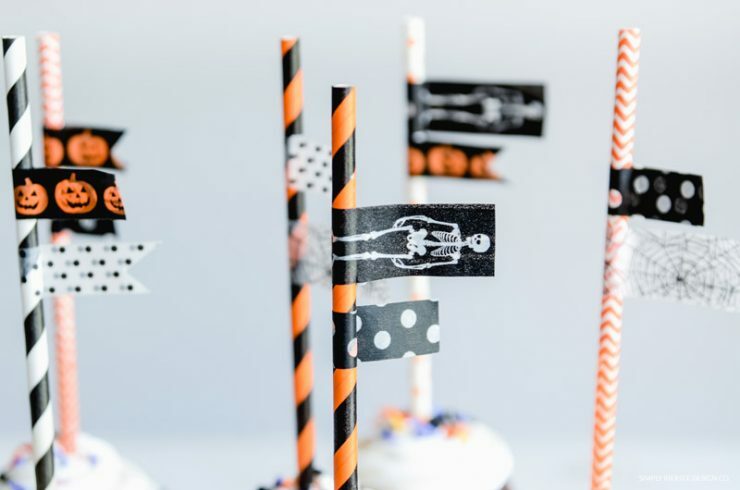 Washi Tape Halloween Cupcake Toppers | Simply Kierste Design Co.
You are going to love how simple these adorable Halloween Cupcake Toppers are! 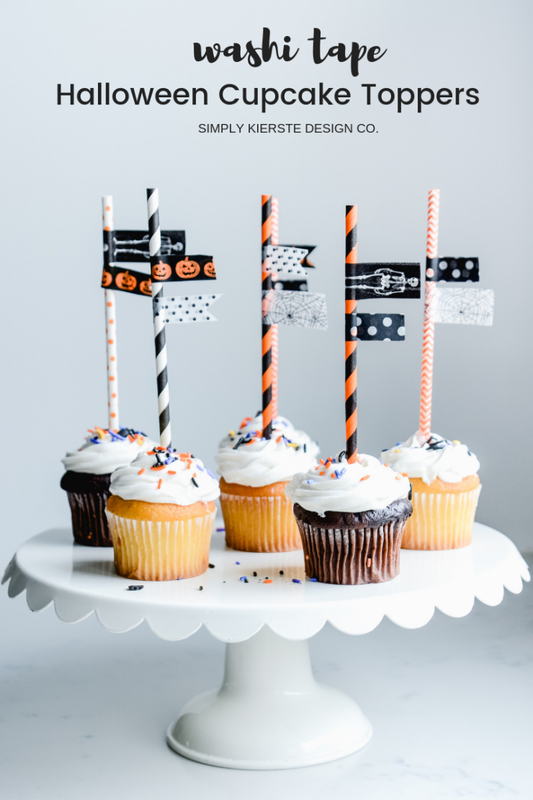 They’re perfect for all of your Halloween entertaining–school, home, and more! We love Halloween at our house, and love to invite friends over to celebrate with us. One of my go-to desserts to serve to our guests is a tray of cupcakes–everyone loves them, and it’s simple and easy to make them really fun and festive. I also love to save time, and my mantra has always been simple + cute. 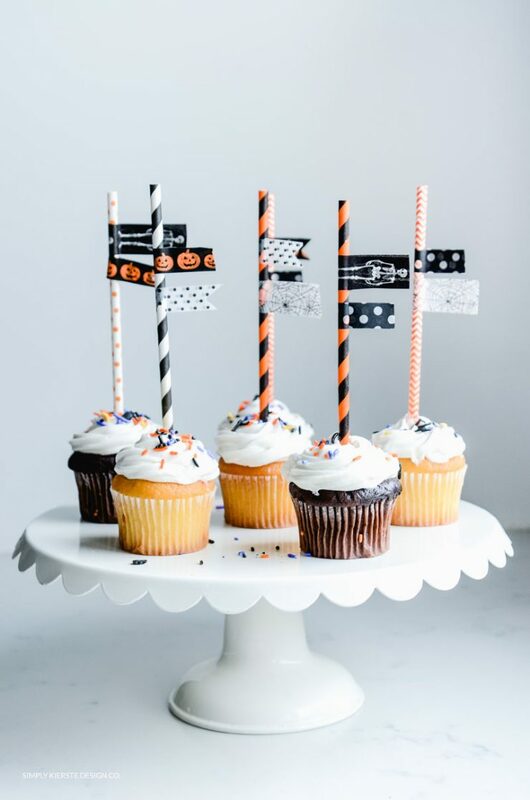 That’s exactly what these washi tape cupcake toppers are, and I just love them. 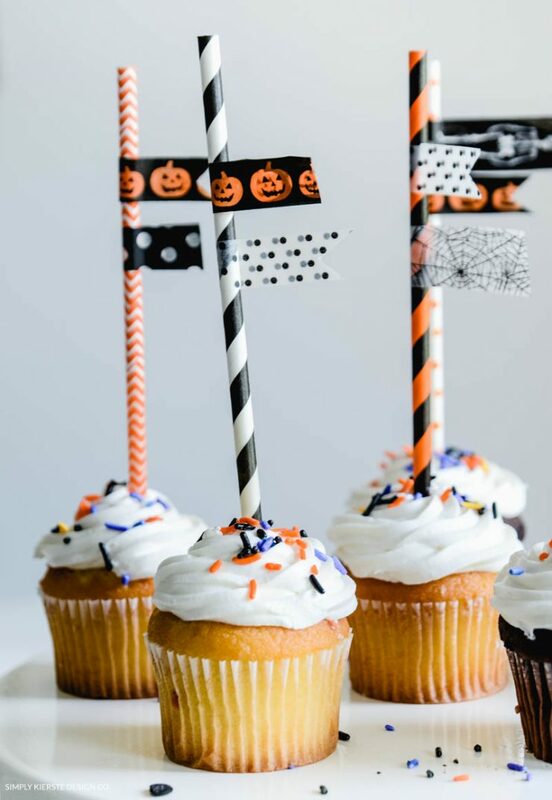 These super cute toppers come together so quickly, and in just a few minutes, you’ve got the most adorable Halloween cupcake toppers ever! Affiliate links are included below for your convenience. If you click on a link and make a purchase, I will receive a small commission at no extra cost to you. I found the cutest holiday washi tape set, and I use them to make these cupcake toppers for every holiday throughout the year! Tear off pieces of washi tape and wrap them around the top of the paper straws. You can use scissors to even the edges, and even take little v-shaped cuts out of the ends to make them look like mini banners. I like to do two or three different pieces per straw. I don’t trim the paper straws, because I like the height, but you definitely can if you would like to. I also vary the pattern on the straws–I love the mix of stripes and polka dots. 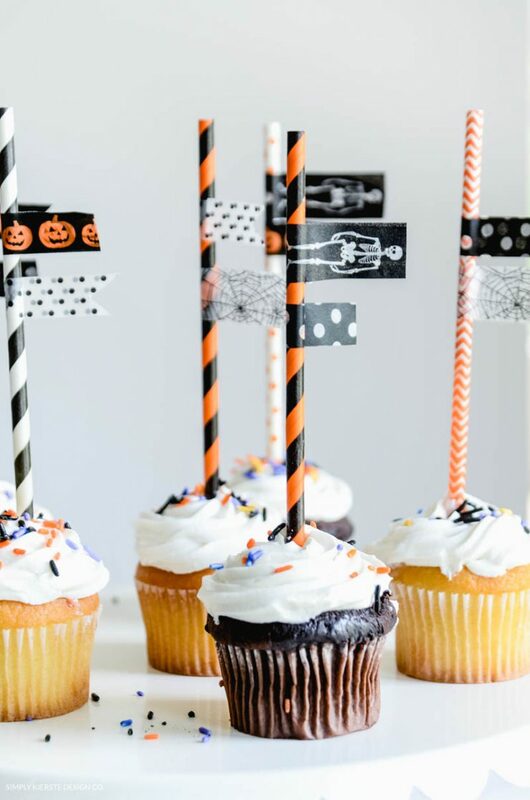 Place the straws in your cupcakes, and you’re ready to serve!